Our world is full of artificial things. We live in houses made of plastic, concrete and polymeric materials. We wear synthetic clothes, use different cosmetics and take medicines; even food we eat is not natural. Chemistry is everywhere around us. It makes our daily life easier, cheaper and lets us save our precious time. But everything should be used in a reasonable quantity. Sometimes we can’t choose where to live and what to wear. Ecologically pure products are generally much more expensive and to find them takes much more time. After all, everyone chooses how to live, what his or her lifestyle will be. Ayurveda is one of the oldest holistic healing systems developed more than 3,000 years ago in India.It uses only natural remedies. It is a knowledge about healthy living and human longevity. The alternative medicine is a part of Eastern medicine and Eastern wisdom that is more than an approach to treatment. It is a philosophy of wellbeing. Ayurvedaphilosophy states that health and well-being depend on the harmony between mind, body and spirit. The main idea of Ayurveda is to promote good health, not to fight diseases. Although, its treatment may be aimed at specific health problems. In Ayurvedic medicine, health starts with prevention. Prevention is based on a lifestyle that is in harmony with nature. Ayurveda says that all living beings, be it people, animals or plants, should follow the rules of nature in order to survive. To live in harmony with nature does not mean to be a vegetarian, to refuse the products of civilization and to live in the forest as many people think. In Ayurveda, there are daily and seasonal routines that lead to better health, mental clarity and longevity. Sleeping enough, eating food rich in vitamins and nutritions, never eating too much, doing sport’s minimum three times a week are simple steps to becoming closer to nature. Nature has already put in a human everything that he or she should develop and support. Unfortunately, we often ignore it, because we live only for today, we are not far-sighted. For example, everyone knows that our bodies need exercise; our muscles should work to prevent back pain and other diseases in the future. In spite of that, most of us choose a sedentary lifestyle. These are the three energies (doshas) that constitute the full spectrum of human nature: Kapha(earth-water), Pitta(fire), and Vata(air). Every person is a combination of these three doshasin different proportions that make different body types. If your inner energies are out of balance, your body, mind, and spirit can be weak and ruined easily. Knowledge of your body type helps you balance the energies keeping a special diet and certain lifestyle. 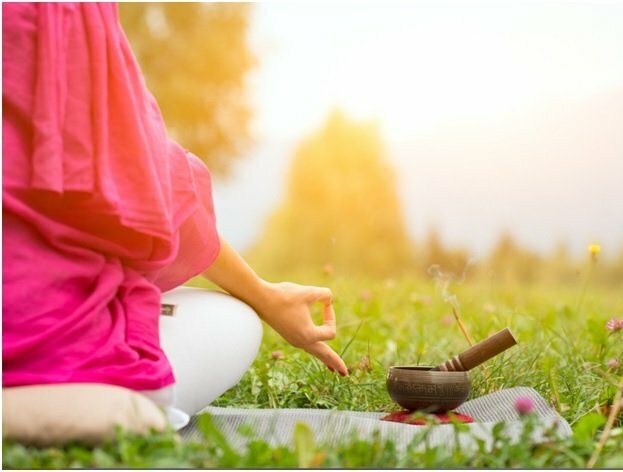 In turn, Ayurveda uses specific treatment techniques for every body type to restore inner balance. Ayurvedic oil massage is one of the principal treatments of Ayurveda.The massage treats the body –physically, mentally and emotionally – through touches. The use of herbs and oil is a distinctive feature of the Ayurvedic massage. As a rule, every person can choose the essential oils and different kinds of herbs to be used for the massage. The techniques of Ayurvedic massage can be various. There are three types of movements – active (strong pressure), passive (delicate stroking) and persuasive (pinching or kneading the small muscles with the thumb and forefinger). The massage creates a very relaxing but enlivening mood, which makes you full of life without tiredness. It also slows down the heart rate, lowers blood pressure, increases blood circulation, moistens skin and improves sleep. In Ayurveda, sports activities are not only about being fit, strong and healthy. Exercises provide physical stress that can teach us how to cope with different kinds of everyday stress with an internal sense of composure. Ayurveda believes the main cause of every disease is stress. That’s why to be always ready to face it, we should do sports. Physical activity is the best coach. It trains our endurance and willpower. Yoga is not a part of Ayurveda, but they are tightly connected with each other. Ayurvedic exercises are based on yoga asanas or poses and breathing exercises. We are used to hearing that diets are for those who want to lose weight or who have problems with the digestive system. It is not right. We should know what and why we eat. The rule of Ayurvedic diet is to change the foods we eat as the seasons change and various foods are harvested. In wintertime, for example, it’s good to add to our ration nuts, a rich source of protein and healthy fat. It is a perfect food helping a person to bear the cold and dry weather of winter months (Vata season). In spring, after eating heavy nuts during the long winter, nature again provides us with the perfect food. Light, leafy green veggies and berries are the first food harvested in spring (Kapha season). Nature provides us with what we need in any season. Ayurveda also recommends that all meals should be eaten slowly and calmly, the main meal should be at midday. There are Ayurvedic superfoods that can be eaten in any season of the year. The superfoods detox and rejuvenate the body, increase immunity, physical and mental strength, and improve digestion. Ayurvedic superfoods are ginger, turmeric, shilajit, saffron, almonds and others.Before starting with superfoods, we have to know how to take them, what is the body constitution is it good for, and what are their benefits or side effects. There is a limited number of “cure-all” superfood, for example, Ginger or another relatively new product to the Western World but centuries-old Ayurveda remedy called Shilajit with a number of benefits. Anyone can take those as a day to day routine. Ayurveda is a unique and ancient science of wellbeing checked by time. Nowadays there are Universities where people officially study Ayurvedic knowledge. It means the philosophy continues to exist and to develop.